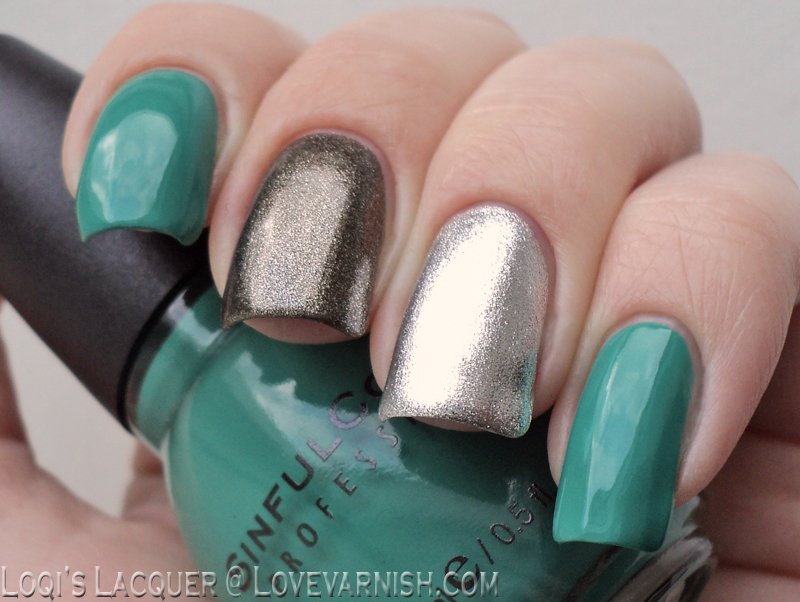 Love Varnish: A Minty Skittlette! The 3 colors I bought and used are Sinfun colors Clorophylle, mint (1 coat! ), Sinful colors Heavy metal, silver (3 coats) and Park Avenue Metallic desire, bronze/brown (2 coats). I had never heard of Park Avenue before, I think it's a make-up brand from Brussels, but it's a very nice polish, as were the 2 Sinful color ones. I really love how they all go together! I hope you enjoyed this and see you soon! Oooooh I love this combo! Some stamping would look great on it too, I guess :-). Yes I think it would. I tried stamping with the silver but it wasn't opaque enough, I forgot to try the green, I think that would have worked.